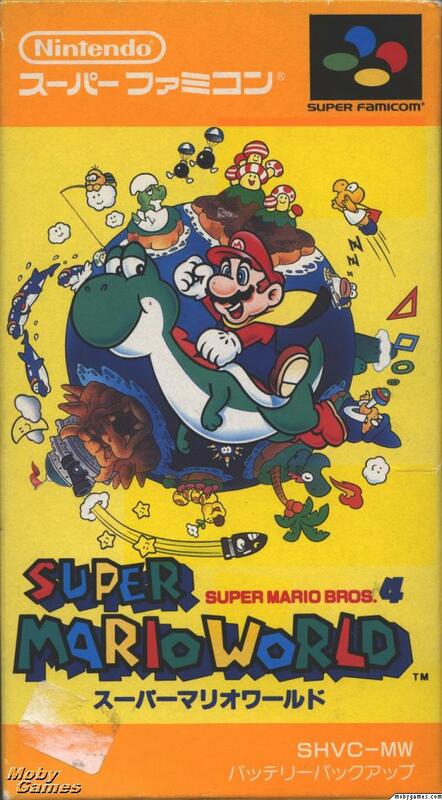 Comment on MARKER's Super Mario World Box Art / Cover. Anyway.. this is my entry for round 1 VS Ninjamojo27 in "What's Guna Happen Next!?" comp. Since it's Sunday.. and I might be out/busy that day, so I thought I might as well post it now. A bit too yellow :p but i like! I didnt even notice what you did with the screenshot boarders. Thats very creative. Ughh, I thought you quit. Back to make us look bad again, I see. #19, yeah! Can i have it too? Marker this Box is Amazing! Seriously, Your boxes are Amazing! I dont know why, but this is the best box, i have ever seen on here! Amazing! This box could not be better, 5/5 and favorite! NICE WORK! Also why is the back half English and half Japanese? If anyone is going to do a Japanese box art, everything should be in JAPANESE. #33, Not the original -- link -- just very close to the original. #35, I agree, for the front atleast. The back though is great. Exec: 0.14767313 © 2004-2016 VGBoxArt.com. All rights reserved. Crafted in San Francisco by Reed.